S. J. Tucker might be a Skinny White Chick as she likes to call herself, but this S.W.C. has a HUGE voice. Vibrant, soulful, engaging. And she will take no prisoners when she performs. 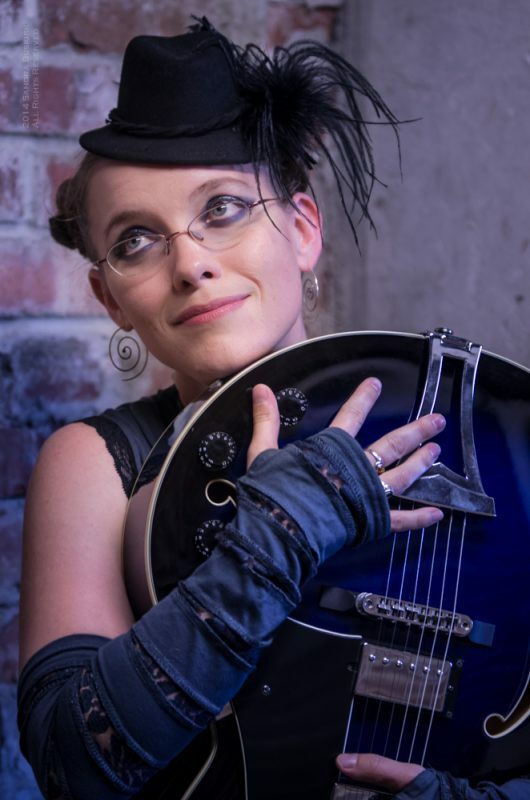 One guitar, one voice, one woman … you wouldn’t miss a band listening to S. J.
S.J. Tucker’s original Magnum Opus – An excellent example of S.J.’s musical range. Since we last reviewed her album Haphazard S. J. Tucker has released quite a few more works. All featured on the right. Available in either CD Audio format or digital downloads (Mp3s). Take a chance and grab a few. Your music collection will be that much richer.